The 22th Standing Committee of Officials in a group picture with the Secretariat of the Policy Organ Meetings. AMGC participated in the 4th Annual Sudan International Mining Business Forum and Exhibition (SIMFE 2019), the event was held at the Friendship Hall of Khartoum from 18 to 20 February 2019. The third Regional Training Workshop of the ACP-EU Development Minerals Programme on Geo-data Digitisation and Field Mapping for Development Minerals for West Africa (English Speaking countries) has started 23rd April 2017, this two weeks training workshop brings together around 14 participants drawn from key stakeholder groups from Nigeria, Sierra Leone and Ghana. AMGC Director General, Mr. Ibrahim Shaddad with Industrial Minerals Senior Technician Mr. Lucas kalombola had a meeting with H.E. the Commercial attaché of China in Tanzania to discuss China Role in Developing the African Minerals and Geosciences Centre (AMGC). The African Minerals & Geosciences Centre (AMGC) is hosting the PanAfGeo - WP5 – Geohazards” Training Course in Dar es Salaam-Tanzania during March 11th to 19th March 2018. A group of 10 specialist trainers from Lithuania, Italy ,Poland , South Africa and Geological Survey of Tanzania (GST) and AMGC are conducting the training. Training for Geo-Hazards Mapping is planned in 6 main topics: Flooding, Soil erosion/desertification, Landsliding, Geopollution, Seismicity and Volcanic activity. PanAfGeo represents the first co-operation between the European geological Surveys and its counterpart in Africa – the Organisation of African Geological Surveys. The aim of the „WP5 – Geohazards” training is to raise level of knowledge of African staff in scope of recognition of geohazards connected with natural geogeneous and human-induced hazards. Methods of identification of different types of geohazards, human risk evaluation and its monitoring as well as research and prevention will be an important element of the training. Handing over Certificates Ceremony of 27 geologists from 7 West African countries who have participated for the last two weeks in a Regional Training Workshop on Digitization and Mapping of Development Minerals. The training course is one of the 10th training courses conducted by AMGC and sponsored by the Africa, Caribbean, Pacific (ACP)- European Union 🇪🇺 (EU) Development Minerals Programme. AMGC Director General Mr. Ibrahim Shaddad with the delegation of the Publish What You Pay NGO, led by the Coordinator Ms Racheal Chagonja visited the African Minerals & Geosciences Center (AMGC). The visited to be familiar with mineral services provided by Centre for collaboration regarding female empowerment through training programs in Gemstones and simple pottery-ceramic technology. AMGC Director General Mr. Ibrahim Shaddad (middle) in group photo with four participants from Geological Survey of Malawi (GSD), who attends a t two weeks training on Ceramic and Pottery Technology. Hon. Ahmed Ali Bazi, the President of Comoran 🇰🇲 Chamber of Trade and Industry including Mining paid a visit at AMGC and had a meeting with AMGC Director General Mr. Ibrahim Shaddad regarding mineral sector in Comoro and Africa in general. The first Regional Training Workshop of the ACP-EU Development Minerals Programme on Geo-data Digitisation and Field Mapping for Development Minerals was concluded on 10th November 2017 with a presentation of Certificate of Attendance to the participants of the Training Workshop. African Minerals and Geosciences Centre Director General, Mr. Ibrahim Shadadd attending the latest IIED’s dialogue on artisanal and small scale mining (AMS) in Geita, Tanzania. The African Minerals and Geoscience Center (AMGC) together with the ACP-EU Development Minerals Programme have started holding a series of Regional Training Workshops on Geo-data Digitization and Mapping of Development Minerals for countries from West, Central, East and Southern Africa between October 2017 and July 2018. The ACP-EU Development Minerals Programme first training workshop dedicated to the focus countries has already started at the AMGC. This first event brings together around 20 participants drawn from key stakeholder groups from Cameroon, Guinea, Uganda and Zambia. The training session on Geo-scientific Management Informationi.e. WP7 B - Spatial data infrastructure - Data modeling – Interoperability standards – Data dissemination hosted by AMGC in collaboration with Organization of African Geological Surveys (OAGS) and PanAfGeo, the geosciences capacity building Project for Africa sponsored by EU. The training session on Geo-scientific Management Information i.e. WP7 B - Spatial data infrastructure - Data modeling – Interoperability standards – Data dissemination hosted by AMGC in collaboration with Organization of African Geological Surveys (OAGS) and PanAfGeo, the geosciences capacity building Project for Africa sponsored by EU. The training session on Management Information Geo-scientific i.e. WP7 B - Spatial data infrastructure - Data modeling – Interoperability standards – Data dissemination hosted by AMGC in collaboration with Organization of African Geological Surveys (OAGS) and PanAfGeo, the geosciences capacity building Project for Africa sponsored by EU. Hon. Kassim Majaliwa, the Prime Minister of the United Republic of Tanzania listening to Mr. Charles Buteta, the Manager for Chemical and Environmental Services while giving explanation regarding the Induced Coupled Plasma – Mass Spectroscope (ICP-MS) installed in the Analytical Finger Printing (AFP) Lab. In the photo from left is Hon. Peter Teko Lokeris, Minister of State for Minerals, Ministry of Energy and Mineral Development of the Republic of Uganda, Mr. Ibrahim Shaddad, the Director General of AMGC and Hon. Dr. Medard Kalemani the Deputy Minister for Energy and Mineral of Tanzania. Mr. Timo Gawronski, Chief Technical Expert on Analytical Finger Printing from German Federal Institute for Geosciences and Natural Resources (BGR) explaining to the Prime Minister of the United Republic of Tanzania on the applicability of some of the mineralogical equipment in relation to the Analytical Finger Printing Lab and the mining industry as whole. Hon. Kassim Majaliwa, the Prime Minister of the United Republic of Tanzania, commemorating the AMGC 40th Anniversary by cutting a cake. Standing on right of the PM is Mr. Ibrahim Shaddad the Director General of AMGC, and on the left is Hon. Dr. Medard Kalemani the Deputy Minister for Energy and Mineral of Tanzania. Some of the delegates of the 37th Governing Council listening to Hon. Kassim Majaliwa, the Prime Minister of United Republic of Tanzania. Hon. Kassim Majaliwa, the Prime Minister of the United Republic of Tanzania in a group picture with the AMGC Staff. The 20th Standing Committee of Officials in a group picture with the Secretariat of the Policy Organ Meetings. Group Photo: AB Minerals Corp. meets with the Board of Directors of the African Minerals & Geosciences Centre in Dar es Salaam, Tanzania. AMGC staff on meeting with Jiangxi Bureau of Geology and Mineral Exploration and Development in Nanchang, Jiangxi, China. Group Picture: 4th African Union Commission Africa Mining Vision TWG meeting on Geological and Mineral Info.14 - 18 Aug 2017 in NBO,KENYA. Kenya Gem and Jewellery Trade Fair 2017 took place 6-7th July 2017 at the Intercontinental Hotel, in Nairobi Kenya. A meeting was held at the AMV Hall of AMGC on 14th December 2016 which was attended by a delegation from South Korea, AUC/AMDC representatives, Permanent Secretary of Ministry of Mineral Development of Zambia and AMGC officials. The meeting discussed the Korean Government support to the AUC for the AMGI Pilot project in Zambia which was selected by the World Bank to benefit from this support. The African Minerals and Geo-sciences Centre (AMGC), formerly known as Southern and Eastern African Mineral Centre (SEAMIC) was established in 1977 principally to carry out regional geological surveying and to provide minerals exploration and consulting services for programs of its founding member states, Ethiopia, Tanzania and Mozambique, later joined by Uganda, Angola and the Comoros. Kenya became a member in 2006 and the Sudan joined in 2010. In 2007, the ministerial meeting in Maputo decided that membership is open to all African states. To reflect this expansion of the scope, the name of the Centre changed to African Minerals and Geosciences Centre (AMGC) starting from July 2015. In 1991 AMGC moved its operations to an extensive new site in Dar es Salaam with a mission to “Promote socio-economic and environmentally responsible mineral sector development in Africa”. 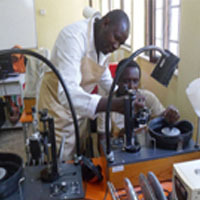 To meet the new demands of the mineral sector stakeholders the Centre diversified its services to provide a hightech, state-of-the-art minerals analytical laboratory services and geoinformation data processing activities, complimented with the provision of short term specialized trainings. The trainings were provided under GEODESA, GISAfrica and AEGOS and other smaller projects with funding from the EU, UNDP, UNIDO and the governments of Japan, India, Belgium and France. The availability of the Centre’s ISO 9000:2008 certified analytical and data processing services at a closer proximity to the exploration and development sites has significantly eased the burden of the investors in conclusively defining areas of mineral potential and hence accelerating mineral discovery and development to benefit the member states national economies, provide employment, reduce poverty and improve the livelihood of its people and to contribute to growth of their respective national economies. The African Minerals and Geo sciences Centre (AMGC) is an African mineral service provider with the following mission, vision, mandate and objectives. - To facilitate the co-ordination, harmonization and access to mineral resources development and provisions of support services in Africa. - To establish, where relevant, Africa networks of programmes and services and to promote Africa collaboration. - To promote indigenous mineral based industrialization. - To promote awareness on potential of the mineral sector's contribution to the economic and social development in Africa. - To promote responsible investment and free flow of capital, labor, goods and services for mining sector development in Africa. 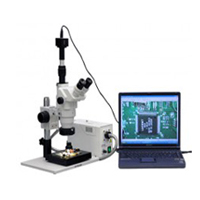 Analyses various types of geological & environmental materials applying wet chemistry, XRF, XRD, ICP and mercury analytical techniques. Conducts mineral beneficiation services to provide basic data that is required for ore reserve estimation that would enable the economic viability of a mine. Deals with testing and identification of rocks, minerals, clays and sediments and carries out gemstones and diamonds identification, grading, certification. 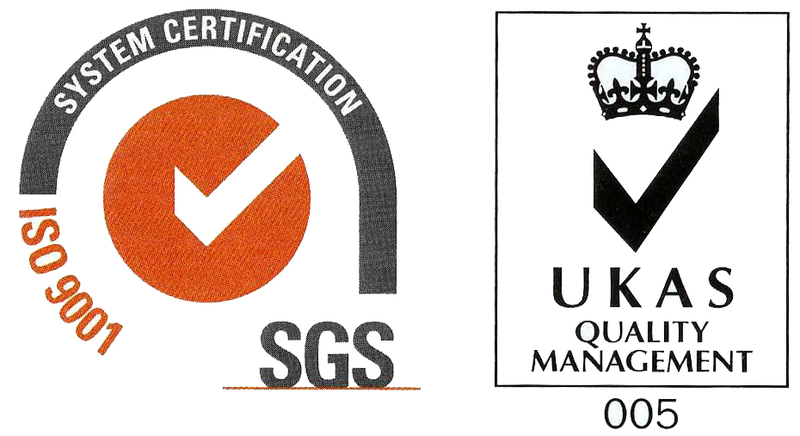 Provides GIS, remote sensing applications and Geo-informatics data processing and consultancy services. Provide training and consultancy in the above mentioned fields. Training courses are offered by the Centre, scheduled or upon request tailor-made, on different topics related to the mineral industry. Some of the course modules are developed internally and others are developed based on requests from customers. Regional mining Exhibition & Conference taking place on 28-29 October 2019 in Kigali, RWANDA, at the Kigali Convention Centre. Hosted by RMB – Rwanda Mines, Petroleum & Gas Board, the government institution that leads, manages and regulates Rwanda’s extractive sector, this regional business and investment platform will focus on mining Operations and Exploration projects the East & Central African region, positioning Rwanda as a modern hub for business, investment, trading and mineral processing. The 39th meeting of the Governing Council (GC) of the AMGC was held in Khartoum Sudan from 13 to 18 February 2019. The GC is the highest policy organ of AMGC comprising of the Ministers responsible for Mineral Resources of the members countries, meets annually to oversee the activities of the Centre. In its 39th meeting, the GC deliberated on several issues pertaining to the AMGC activities and among them were the approval of its annual budget and the renewal of the contract of the Director General for a second four-year term. 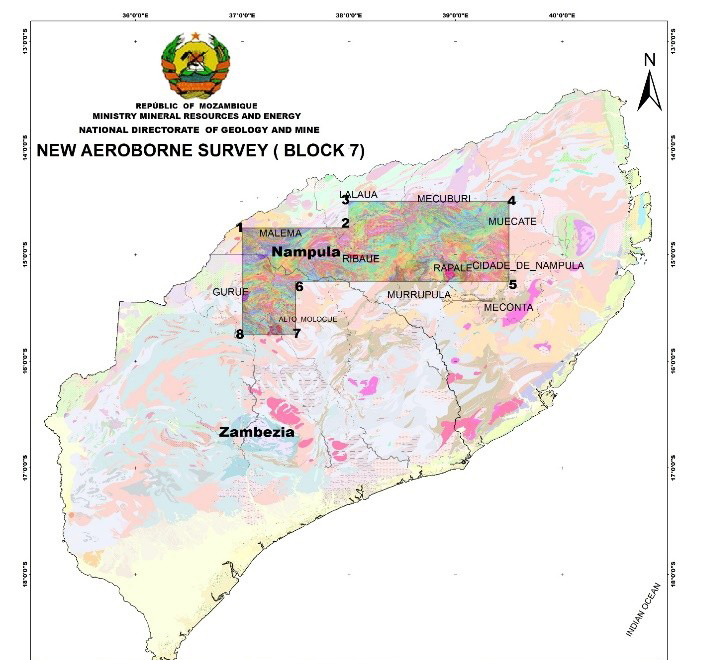 Funded by the World Bank, the Australian Thomson Aviation company was contracted by Mozambican Government to carry out airborne survey (magnetic and radiometric) in the north of Mozambique covering the area shown below. The survey was carried out between 2014 and 2015 and the data were delivered to the National Directorate of Geology and Mines (DNGM) in binging of 2016. 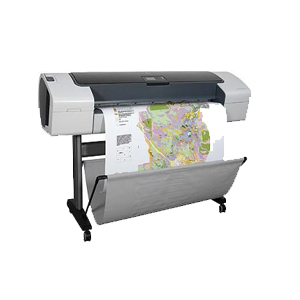 The coordinate system of delivered data are in coordinate system UTM37S/WGS84. The African Minerals and Geosciences Centre (AMGC) in tripartite collaboration with BGR of Germany and International Conference of African Great Lakes Region (ICGLR) inaugurated a sophisticated Hi Tech Analytical Finger Printing (AFP) Laboratory on 8 June 2018 for analysis of 3Ts conflict minerals to enforce the regional certification mechanism and abate illicit minerals trade in the African Great Lakes Region. Sudan has been elected a chair of the Governing Council of African Minerals and Geosciences Centre (AMGC). The appointment was made over the 38th Governing Council meetings held in Dar es Salaam. Sudan was represented by the Minister of Minerals, Gen. Mohamed Ahmed Ali and Dr. Mohamed Abu Fatima – GRAS Director General. The Mozambique 3rd Gem Fair will be held during 15th – 18th August 2018 in Nampula province, Mozambique. The ACP-EU Development Minerals Programme is a three-year, €13.1 million capacity building program of the African, Caribbean and Pacific (ACP) Group of States, financed by the European Union and the United Nations Development Programme (UNDP), and implemented by UNDP. The aim of the programme is to promote the sustainable development of industrial minerals, construction materials, dimension stones and semi-precious stones in Africa, the Caribbean and the Pacific. The ACP-EU Development Minerals Programme supports the capacity development of key stakeholders in the sector such as regulatory agencies and local governments; private stakeholders including small-scale mining enterprises, construction companies, mining and quarrying associations; as well as training centres, universities, civil society organizations and community groups. The ACP-EU Development Minerals Programme is implemented at both the regional and country levels. At the regional level, the programme conducts capacity building activities with participants from forty (40) ACP countries (28 in Africa) through regional training workshops, field trips, the production of guidance products and knowledge exchange. At the country level, in depth capacity building is undertaken with six focus countries: Cameroon (Central Africa); Guinea - Conakry (West Africa); Uganda (East Africa); Zambia (Southern Africa); Jamaica (Caribbean); and Fiji (Pacific). Country-level activities include: training; small grants; the production of maps and databases; development of regulations on environment, health and safety; organization of community dialogues, technology fairs and networking events The ACP-EU Development Minerals Programme and the African Minerals and Geosciences Centre (AMGC) signed agreement for AMGC to deliver a series of regional and country level training workshops on geological data digitization techniques, field mapping, resource estimation and database management of Development Minerals. Through this project AMGC will organize and carry out 10 training workshops for participants from the African ACP countries starting from October 2017 up to June 2018. Through this programme more than 220 professionals are expected to be trained from 29 African countries.